Or “LOST, with Disney characters.” Image via Wikipedia. 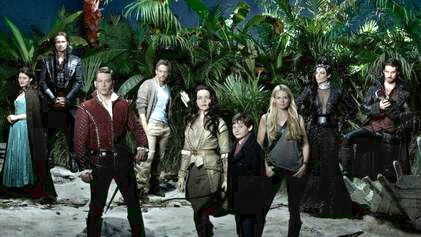 Although Once‘s original pitch was classic fairy tale characters living in the modern world, it quickly became obvious that “classic fairy tale” = “anything either in the public domain or owned by Disney.” So far the world of the Enchanted Forest has intersected with Wonderland, Frankenstein, the Knights of the Round Table, Robin Hood, Neverland, and most recently, Oz. Which is AWESOME. Go big or go home, right? Once Upon a Time is almost sure to get a fourth season. Here are a few yet-untapped veins in the Disney properties and public domain gold mines. There’s always a mystery afoot in Storybrook. Who better than Sherlock Holmes, the world’s greatest public domain detective, to show up and solve one? Sadly, it’s unlikely that CBS or the BBC would loan Miller or Cumberbatch to a rival network. Just as well, though, since pulling Holmes and Watson out of 19th century London seems more in keeping with Once’s style. Most likely scenario: Sherlock must solve a paternity case, and he discovers that he himself is the Blue Fairy’s son, Aladdin’s brother, and Captain Hook’s father. Srsrly tho, WHY have there not been vampires in Storybrook yet? Half of Regina’s Evil Queen costumes look like they were designed for a vampire (hmmm, maybe Carmilla would be better?). There could be this whole storyline about Dracula only being able to drink blood from someone if they have a heart, and Regina has to use her magic heart-stealing powers to save the whole town from being vampired, and Dracula is Jiminy Cricket’s son, Grumpy the Dwarf’s brother, and Mulan’s father. The property rights situation on this one is complicated, but Disney distributed the Narnia movies, so I’m throwing it in here anyway. We’ve already seen several characters travel to and from Storybrook via wardrobe. Agrabah, a major location in the underrated Wonderland spinoff, could easily be part of the Calormen Empire. Come on, writers; I want a twisted, tangled backstory about the War of the Drobes in the land of Spare Oom. A story in which Mister Tumnus is revealed to be Red Riding Hood’s son, Ariel’s brother, and Mushu’s father. Specifically, a Once Upon a Time/Agents of S.H.I.E.L.D. two-part crossover episode. The big reveal would solve Agents of S.H.I.E.L.D.‘s major ongoing mystery regarding Skye’s parentage thusly: Aurora is currently pregnant with Skye, and Mulan is the father. Miss Piggy drags the Muppet crew to Storybrook to investigate. A battle royale between her and Regina ends in an accidental curse that turns everyone in Storybrook into Muppets. They spend the whole episode trying to put things back to normal. Chaos and random musical numbers ensue. All is put to right at the end, but not before it is discovered that Miss Piggy is Cora’s other long-lost daughter, Kermit the Frog is Princess Tiana’s brother, and Gonzo is Rumpelstiltskin’s grandfather. 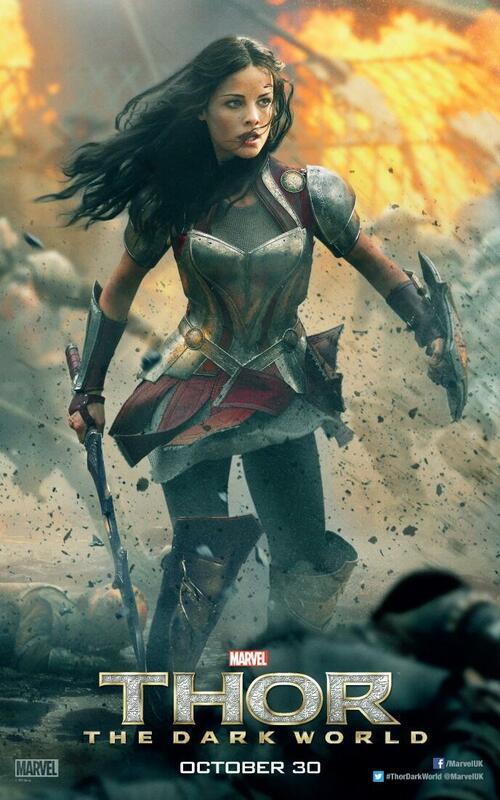 A few random, spoilery musings on the women of Thor: The Dark World. I cannot overstate Frigga’s awesomeness. Frigga pwns everyone forever. I shall henceforth consider the epithet friggin’ an oath invoking the wrath of Frigga. I’m terrible about crying over movies, books, tv shows, songs, gifs, etc., but I couldn’t cry over Frigga’s death. It was just too awesome. I felt like she died exactly how she wanted to, with a sword in hand, defending her realm and her family. To quote another famous space Viking, it was a good day to die. I love Sif. Why does Sif have to love Thor? 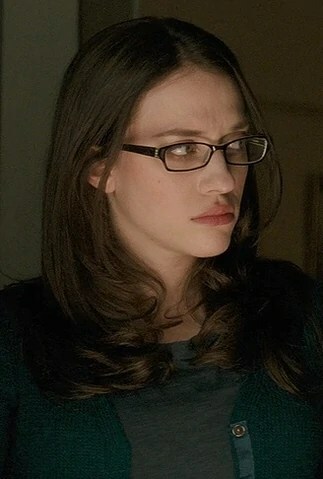 I mean, I know she and Jane Foster are both canon love interests in the comics, but why? Why does there have to be a love triangle at all? When two very different women who want very different things out of life are written as rivals for the same man, it reinforces the idea that all women ultimately want the same thing out of life. That thing being mating privileges with the Alpha Male. Can’t we just enjoy seeing a beautiful female warrior and a beautiful female scientist in the same movie without essentially making the hero declare one more desirable than the other? I have absolutely no problem with strong women wanting relationships (with men, even! ), but there’s no lack of powerful male hotties in this story. Why bother making Sif and Jane compete when there’s enough to go around? Oh, Darcy. Characters like her are why comic relief sidekicks are often my favorites. Especially when those sidekicks demand and procure their own sidekick. And then make out with that sidekick on an interdimensional battlefield because why not? What I am about to say is my personal, visceral, subjective, emotional response to Jane’s characterization based on how I’ve been feeling lately. It is irrespective of tropes or conventions or social history. Here goes. Jane is smart, curious, educated, accomplished, self-assured, and for most of the movie, ill. The movie lets her be all of these things at once. The Aether is in control until it can be destroyed. The most Jane can do is cooperate with the people who have the power to destroy it, Jane herself not being one of them. Her rational acknowledgement of this isn’t treated as “letting her illness beat her.” She’s still herself. Ever the scientist, she investigates the alien technology in the Asgardian hospital while she’s on the exam table, and learns all she can about the city and its people in between being examined, sleeping, and pursuing a treatment (that might kill her). But those three things do take most of her time, and she can’t help that. As someone who can identify with all of the above, it felt really good to see a woman like this at the center of an epic. Sure, Thor is the real protagonist and Jane is “just” his love interest, but…Jane is Thor’s love interest. Thor would literally move heaven and earth to save Jane even though she can’t reciprocate. I love the scene where Jane unsuccessfully tries to drag Thor out of the falling ship’s path and finally just throws herself on top of him. It’s so earnest, and so comically futile. The spirit is willing but the flesh is weak. And yet, Jane’s weakness doesn’t take away her agency. Thor protects and cares for her, but he doesn’t patronize or dominate her. Jane chooses to go along with Thor’s plan to destroy the Aether. She chooses to let Frigga, Sif, and other stronger people put themselves on the line for her. Which they all do willingly because Jane matters, if not intrinsically then at least in the sense that her best interests align with theirs. Is Jane Foster a damsel in distress? She does technically fit the trope. But I found this damsel engaging, encouraging, and dare I say, empowering.